Born in Aalter in East Flanders, Noé De Coster moved with his parents at the age of 15 years to the south of the country. Then he moved to his current location in Obaix in 1996. 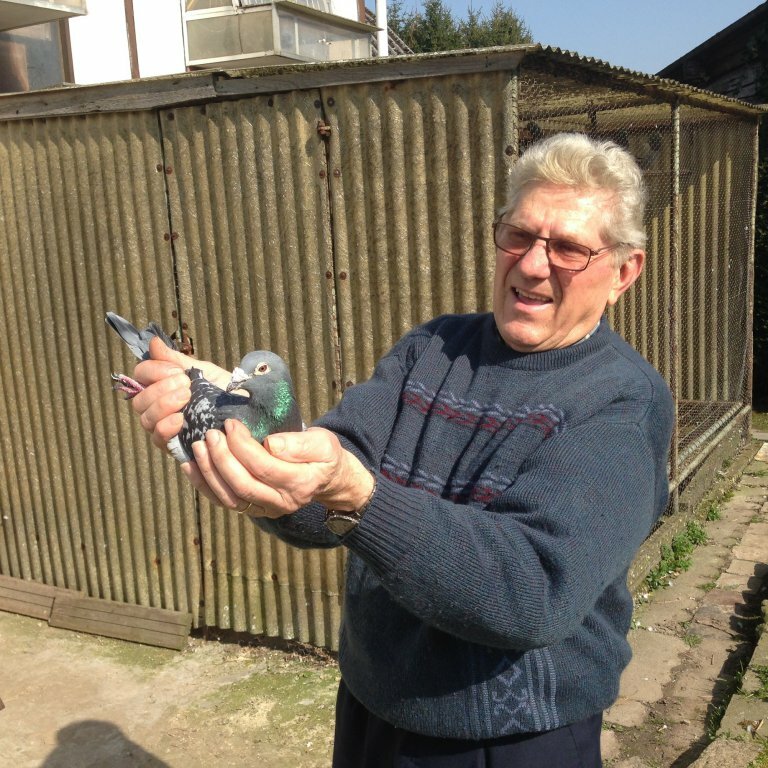 He contributed to make this little village famous worldwide in the world of the pigeon sport. Noé with his crack, 'The Olympiade'. This is when Noé stopped his working career. He worked hard during all his life and he decided to start the pigeon sport with the one and only goal: reaching the top as soon as possible. And according to him, there was only one possibility to reach his goal: to purchase the best pigeons possible. Noé has been always fond of the long distance races and this is why he decided to focus on this discipline. He wrote the names of the best fanciers from Belgium on a paper at the time. He visited them to purchase the best pigeons they had to offer: Etienne Devos, Robert Van Eycken, Jos Thoné, Julien Nibus, Roland & Guy Nihoul, Robert & Jean Calonne, Henri Van Neste, etc… Talking about some prestigious names ! Nowadays, 30 years later, we still find their names in several of the most important pigeons from the current loft. More recently, he also purchased pigeons from famous modern fanciers like a.o. Rudi De Saer, Hugo Batenburg-Van de Merwe and also Gino Clicque with, for example, a daughter of the 'Golden Prince' before this pigeon became what he is today. Because at first, Noé is not affraid to pay big money when he wants to get what he wants but above all, he can make a good deal before it becomes no more affordable! Aged of 84 years, he is known for his talent to regularly discover some talented cracks. He is a real goldsmith with a lot of patience who uses a strong selection program to judge the value of his pigeons. At his place, you can also find some pigeons aged of 5-6 years with several national top 100 positions to their name, something you'll notice by yourself while browsing this report. This has been only possible thanks to his philosophy that always turned out well: buy the cream of the crop, breed a lot, race a lot and select a lot. Throughout the years, he has been able to add to his name several top classifications at national and international level as well as several zonal victories. Concerning the national victory, the supreme consecration, let's say that he turned around several times but that his distraction prevented him to live one of the best moments of his life. In 2015, Noé sent 4 birds to Narbonne. In the evening of the race, he has been surprised by his 3rd nominated that he found on his loft around 23h00… then, he quickly went to check his clocking system and noticed his pigeon landed on the plank at 20h17''32. 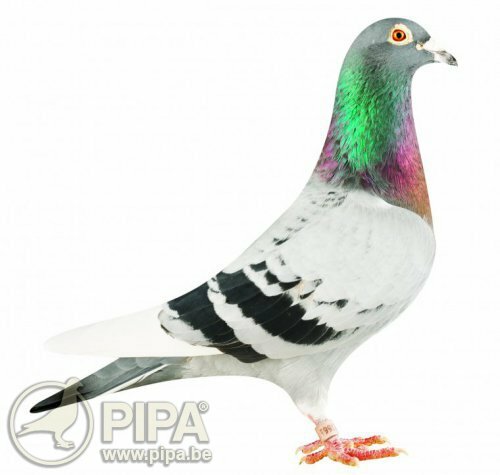 After a quick calculation, he noticed he should have been the national winner with an advance of 8 m/min… so, an average speed of 1123 m/min against 1115 m/min for the winner… This moral winner is a pigeon 100% bred from Nibus Julien from Mortier. After you red these two incredible stories, you would think that Noé is purchased by a plague and that he will be an underdog forever. However, his performance list is uplifting. He already won several zonal victories and he has won already more than 100 national top 100 positions. But finally, the season 2016 ended the best way possible with a classification for the Olympiad in Brussels in the Marathon category. It was the pigeon BE11-9013043 now called 'The Olympiad' who booked this performance. 45 Internat        - 15.954 p.
20 Internat        - 11.448 p.
116 Internat       - 10.642 p.
237 National       -  8.331 p.
207 National       - 10.251 p.
207 Internat       -  9.052 p.
218 national       -  4.337 p.
368 Internat       - 12.689 p.
We already talked about it at the begining of this report, Noé is really gifted to make the right pairings able to generate some cracks. After the 'Blacky', 'Olympiad' and 'Narbonne', all being confirmed racers with several national top 100 to their name, the last one discovered is the fantastic 'Limoges'. 8. National Zone      -  7.128 p.
14. National          - 15.009 p.
26. National          -  8.303 p.
Congratulations Noé for your longevity in your passion who is still motivating you like it did on day one. We wish you will be able soon to catch up your missed appointments with history... so that you won't have to go back on time to obtain what is owed to you.